In the middle years of the nineteenth century, two men, Thomas Morland and Conrad Wilkinson, bought the land which now contains Eastern, Western and Southern Roads and planned to develop it as Harwell Park Estate. 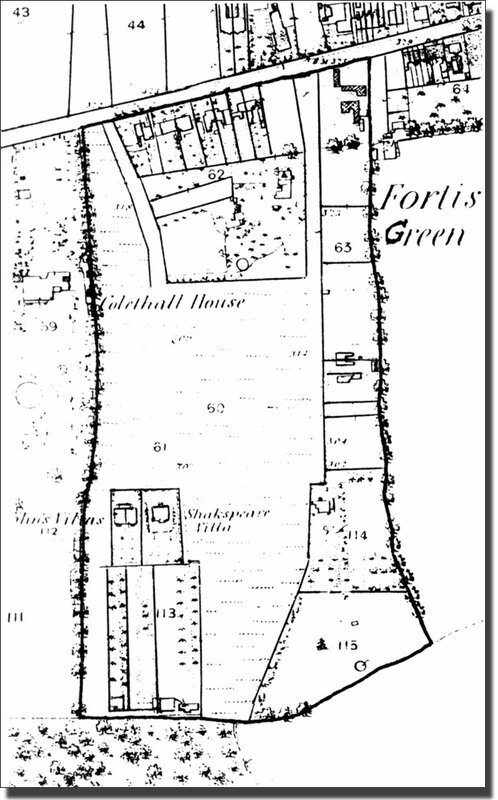 The site corresponds to the dark outline on the 1865 Ordnance Survey below, with Salvin's land to the west. A Deed Poll was executed on 4th January, 1853 and the Poll Map, opposite, shows the land divided into house plots, most of which were not to be developed for years. At this time there were no planning laws to control the type of buildings which could be erected, or their use. If one wished to live in a genteel neighbourhood, with congen­ial neighbours, and not have a glue factory built at the end of the garden, everyone had to agree to behave in an acceptable manner. The deed poll was a device to ensure that restrictive covenants were enforceable on all the purchasers. Everyone buying a plot of land had to agree to covenants controlling the type and minimum value of the houses, the use of the buildings, etc. These covenants would continue to be binding on all later owners and tenants.